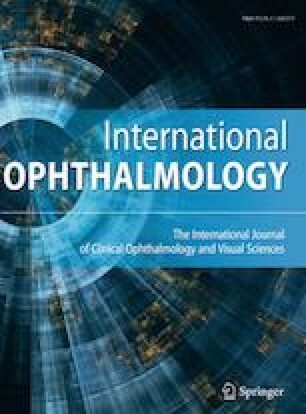 To assess and compare the efficacy over 6 months of intravitreal ranibizumab (IR), aflibercept (IA) and dexamethasone implant (IDI) in eyes with macular edema (ME) secondary to non-ischemic central retinal vein occlusion (CRVO). This is a retrospective single-center study. Patients who received pro re nata treatment of IR 0.5 mg, IA 2 mg or IDI 0.7 mg (as Group 1, Group 2, and Group 3, respectively) for the treatment of ME due to non-ischemic CRVO were included in the study. Efficacy outcomes were considered as the changes in mean best-corrected visual acuity (BCVA) and central macular thickness (CMT) from baseline over 6 months. Eighteen patients (Group 1) received IR, 16 patients received (Group 2) IA, and 24 patients (Group 3) received IDI. The mean numbers of injections were 2.56 ± 1.0, 2.68 ± 0.9, and 1.62 ± 0.5 in Group 1, 2, and 3, respectively (p = 0.000). In Groups 1 and 2, the mean BCVA values increased significantly after the treatment (p < 0.001). However, in Group 3, no increase in mean BCVA was statistically significant in any month (p = 0.061). The proportion of eyes gaining at least three lines in BCVA was 33.3% in Group 1, 43.8% in Group 2, and 33.3% in Group 3 (p = 0.762). In all groups, significant improvements were observed in CMT after treatment (p < 0.001). At month 6, the mean changes in CMT were − 162.7 ± 186.5 µm in Group 1, − 310.1 ± 345.9 µm in Group 2, and − 193.8 ± 228.3 µm in Group 3, with no significant difference among groups (p = 0.474). Cataract formation and IOP increase were higher in the IDI group, but the differences were not statistically significant (p = 0.054 and p = 0.392, respectively). IR and IA may be preferred treatment for ME due to non-ischemic CRVO as visual improvement remains the primary ophthalmological objective. The most important advantages of IDI are its effect on CMT and the need for fewer injections. The increase in IOP and the formation of cataract may be observed more in IDI-treated eyes. We thank Ozlem Terzi, M.D. for assistance in clinical information analysis. This study was approved by the Ondokuz Mayis University Clinical Research Ethics Committee.